On Monday 26th October Somerset County will be undertaking essential roadworks on a section of the road below the Balsam Fields junction. The southern slope on the pedestrian crossing has sunk and needs to be re-laid to bring it up to standard. 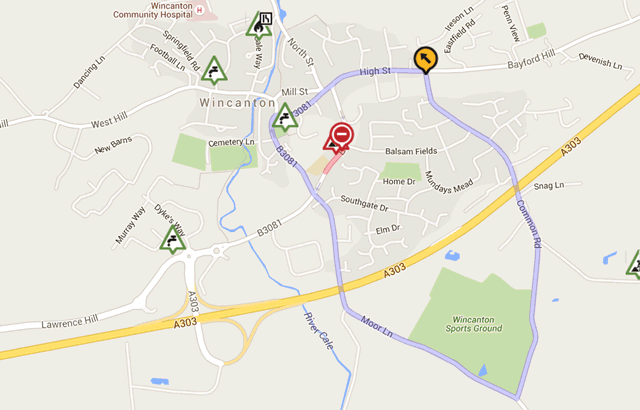 The work could take up to a day to complete, requiring a full carriageway closure. There will be a diversion in operation for the duration of the work. Traffic exiting town to the A303 (westbound or eastbound) should travel up High Street, turn right into Common Road (south), proceed over the A303 to the junction with Moor Lane, turn right and follow the lane to the roundabout at the junction of South Street and Southgate Road. Turn left onto Southgate Road and continue out of town to the main access by Morrisons. Alternatively traffic could continue up High Street, through Bayford to the main A303 Gillingham junction. 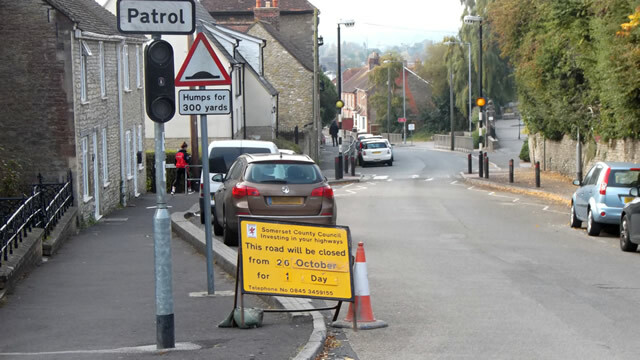 Motorists are asked to drive the diversion route with care to avoid causing congestion and risk to pedestrians on side roads and lanes where there are no pavements. All High Street businesses and car parks will be open as normal. Turns out they were done and dusted, and the road reopened by about midday. Could've been a lot worse.